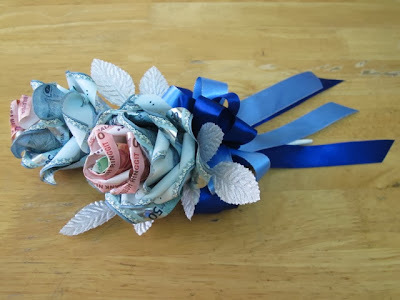 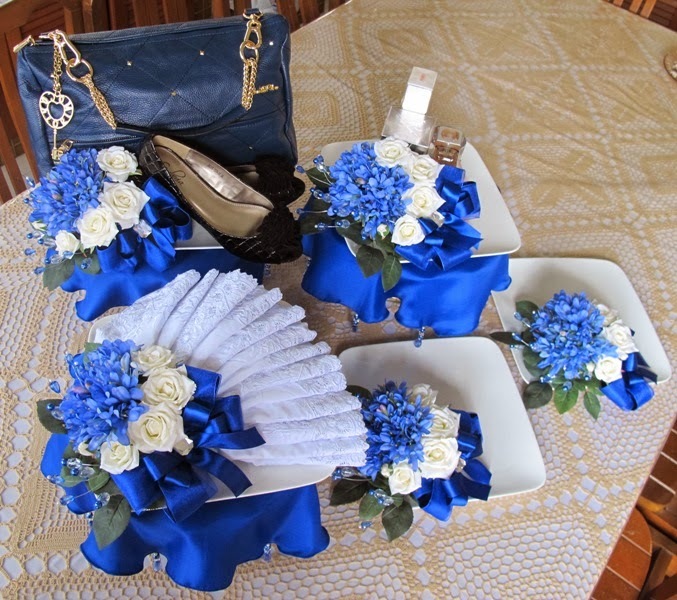 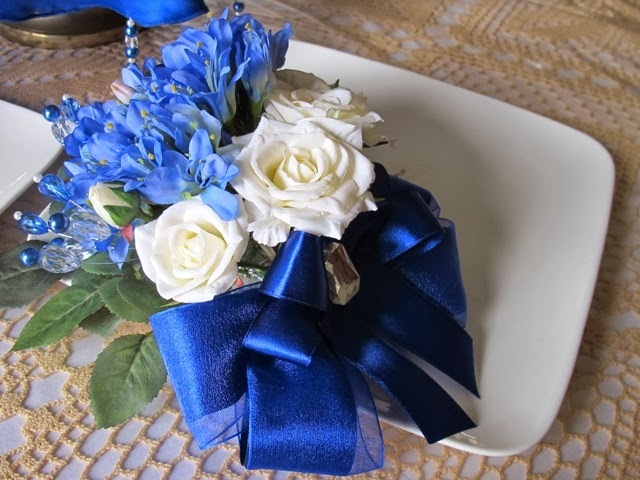 Royal Blue is the theme for this set of 5 pahar wedding hantaran. Lovely agapanthus and off white country roses highlighted by blue glass and crystal beads and pearls too. 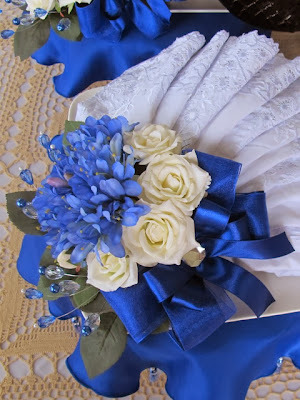 Not forgetting my signature fluffy big bow!